Serving Kentuckiana since 1998, Pool Man is a family-owned and operated business that provides quality products and services related to the pool and spa industry. Pool Man offers a variety of services for pools and hot tubs including openings and closings, weekly maintenance, equipment repair, liner replacements, inspections, inground installations, and rehab work. In addition to this, the company also has a retail store where they sell above ground pools, hot tubs, chemicals, equipment, parts, accessories, and other recreational items. Owners Jim and Mike Kane have been around pools for over 35 years. In 1975, Jim Kane had a poured concrete pool installed in his backyard. Jim and his son Mike gradually learned how to service and maintain their inground pool. The news of their knowledge spread and Mike was soon helping his neighbors take care of their pools. As time went by, Jim and Mike started to see a growing demand for pool service professionals. This father-son duo decided to attend classes to obtain their certification for operating pools. Once Jim and Mike became Certified Pool Operators, they started a company and began professionally servicing pool and spas in 1998. After a successful first two years, the business expanded to include the retail sales of pools, spas, and pool and spa care necessities. Pool Man was born, a retail store that provides continued service both during, and after the installation. Pool Man has constructed, maintained, and/or repaired numerous pools and hot tubs in the Southern Indiana and Louisville areas. The company has also brought many pools and hot tubs up to compliance with city, state, and national laws and regulations. 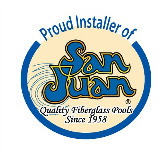 Pool Man is certified by APSP, CPESC (Erosion Control) certified, a certified pool operator through NSPF, a certified installer and operator for Coverstar automatic pool covers, and a member of the Better Business Bureau, Association of Pool and Spa Professionals, and the Home Builders Association. Pool Man takes part in several community events each year and is a member of many local organizations. They value their commonwealth and customers, and strive to maintain a favorable reputation. At Pool Man, they prefer to treat their customers like family. They take pride in educating consumers on how to properly operate their pool and spa in the most efficient way possible. Their goal is to provide customers with quality products and service, time and time again. Their trained technicians offer prompt old-fashioned service combined with today's technology. Click here to learn what people are saying about Pool Man!